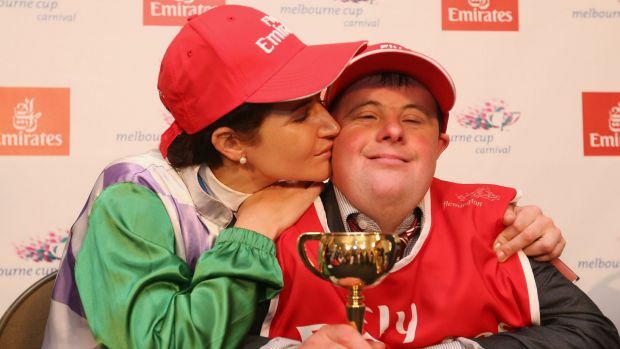 A FEMALE jockey has at last won the Melbourne Cup. Two female trainers have led in the winner and plenty of mares have won. But Michelle Payne, a 30-year-old from a famous racing family, has at last become the first woman to sit atop the winner as it flashed past the Flemington winning post. For the record, the victorious horse was the 100-1 shot Prince of Penzance, whose form was nowhere near as bad as all that. But this race will be remembered for a person rather than a horse, and that person is of course Michelle Payne. Payne made it clear immediately after the race that she herself has suffered no lack of discrimination on account of her gender. “It is such a chauvinistic sport,” she said. “Some of the owners wanted to kick me off the horse, but I thought he had what it takes to run a race in the Melbourne Cup.” She then reserved a classic Aussie insult for those who thought she might have performed her job more effectively if she had a deep voice and a bulge in her pants. “Get stuffed”. (Herald Sun, November 4, 2015) Melbourne Cup-winning jockey Michelle Payne says she hopes her victory on Prince Of Penzance in Tuesday's race will inspire the next generation of riders. 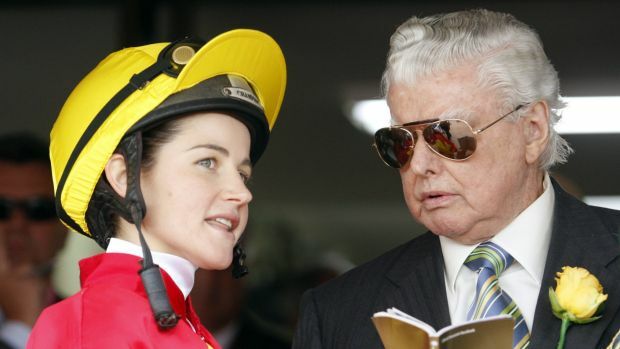 Payne hasn't been without her setbacks; The eldest of Paddy Payne's daughters, Brigid, died from a heart attack in 2007, six months after a fall in trackwork that left her in an induced coma and Michelle herself has had two horror falls, one in 2004 that left her with a fractured skull and bleeding on the brain, and had her family trying to convince her to give up the sport she loved. In 2012 she had another bad shunt in 2012, when she was thrown over the head of El Devine that left her with four fractured vertebrae and broken ribs, and in September that year - a month after resuming racing - she had another bad fall at Ararat. She came extremely close to retiring if not for her father who gave her the advice to stick with it and not rush into any decisions. Three years on and Michelle is on top of the world. Such symmetry. Exactly 100 years ago, a Mrs Edith Widdis became the first woman to own a horse that won the Melbourne Cup. Mrs Widdis, from Rosedale in Gippsland, owned Patrobus, which won the 1915 Cup with the number 19 on the blanket - the same number worn by Prince of Penzance on Tuesday. 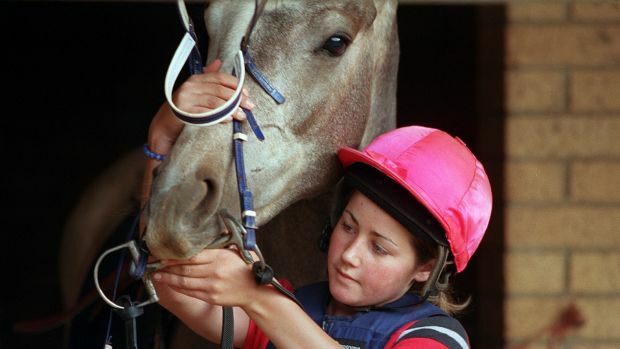 Michelle Payne putting the bridle on her horse in 2001. Such a win, too, for trainer Darren Weir, the modest Mallee bloke with Ballarat stables who loves horses so much he employs another young woman to see that any of his equine charges who fall by the wayside, too slow for fast tracks, find new homes. Plenty don't need such tenderness - Weir is Victoria's leading trainer.